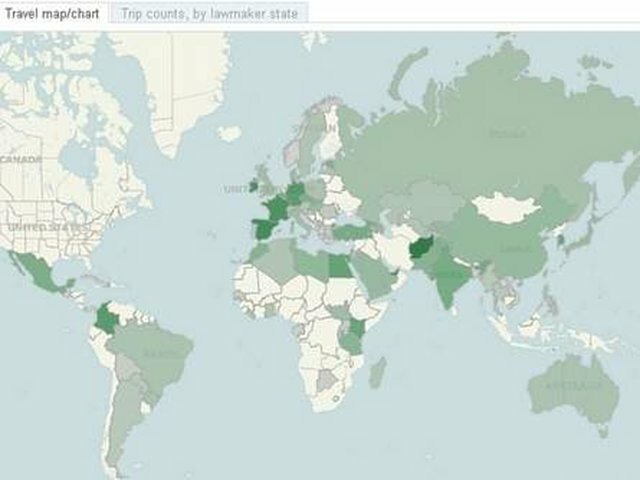 A special report and interactive map created by the Herald Tribune shows the trips, many at taxpayer expense, members of Congress took during the 2012 calendar year. There were limited explanations for the trips, which cost more than $1.5 million in 2012, and among the top destinations were France, Ireland and Spain. Check it out for yourself by following the link below.